Editor in Chief’s Note: Our Features Editor has been on assignment to pursue interviews with the AlJazeera journalists imprisoned. Through contacts with family members, she landed this interview. 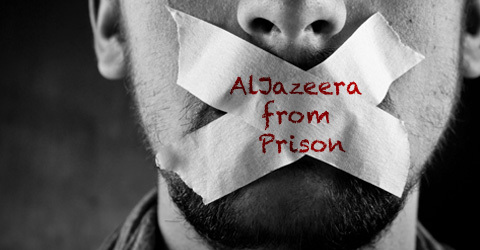 Abdullah ElShamy, 25, is an AlJazeera Arabic journalist based in Nigeria. He is known for his coverage of the Libyan crisis as well as conflicts across Africa. Last year, he was called back to Egypt in order to cover the protests and the clashes that followed suit. ElShamy was reporting from Rabaa El Adaweya where the pro-Morsi protests were held. In the midst of the chaos, ElShamy was arrested on August 14th 2013 and now faces charges for inciting murder and secular violence while held in Tora Prison in Cairo. 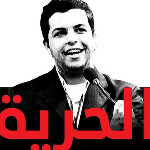 In an act of defiance, ElShamy has gone on a hunger strike, now reaching his 90th day of protest. With the help of a letter writing campaign organized by ElShamy’s family, we were able to get an exclusive written interview with Abdullah from prison. As days trickle by, he can only hope that he will be able to celebrate his 26th birthday, with his wife and daughter rather than his fellow inmates. I have been in a 4*3 meter cell with 15 others for the last four months. We share a 1*0.5 meter makeshift toilet and go out for 2 hours daily only. Officers treat us variably. It’s all up to their mood and the situation on the street. Food is terrible and cooked in prisons in a very unhygienic way. I do have a lawyer but things aren’t really working according to a law so it does not matter much. 2) What has led you to go on a hunger strike? What does your health look like now? I went on hunger strike on the 21st of January because I realized that after 160 days on incarnation things had to be taking differently and strongly. Justice wasn’t served at all. We go to court like herds of sheep and listen to a judge who has been already told what to do regarding the case, so it was a matter of determination. I don’t really care about the reaction of the officials outside the prison in Egypt, the only aim and goal of my strike is to prove to them and to myself that hold matters in my hand and they don’t have power over me. 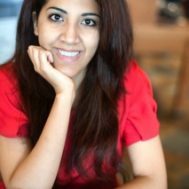 I lost 30 KGs and constantly get a feeling of nausea and dizziness. Yet I will carry on till the end. 3) What were you doing at the time of your arrest in Rab3a? 4) What would you like to tell the international community about your situation? (I would like to quote Abdullah making a statement from the prison with something that he has wanted to say to news outlets and the rest of the world in general. I am a free person, I know I may end up dying but yet I will carry on till the end no matter what the consequences are, at any cost. Journalists are human beings with a love for life. Your support and continuous coverage is what makes them carry on with their message.